SPEAK SPANISH AND UNDERSTAND SPANISH ONCE AND FOR ALL! 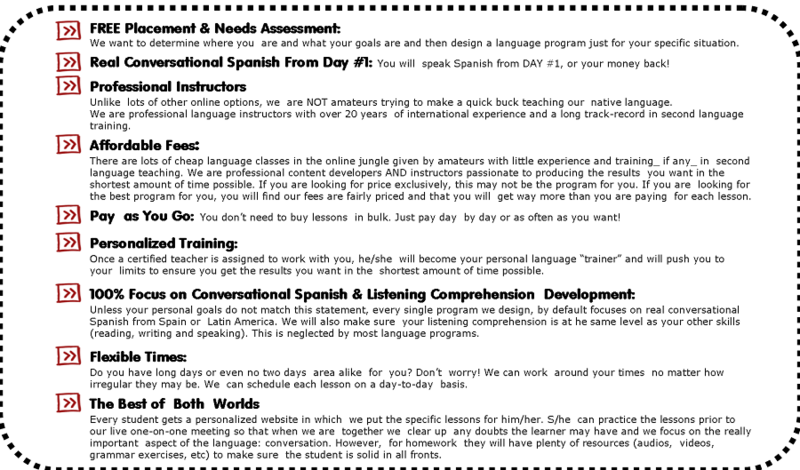 Systematic Approach to Get you to Speak AND Understand Real-Fast Paced Conversational Spanish FAST! Don't waste your money on useless Spanish Courses anymore! If you are reading these lines, it is probably because you are tired of buying language courses on CD or DVD that give you nothing but empty promises on how you can learn a language in 10 days, 24 hours or even 1 hour. You have tried them all and you already know that they don't work. What is next? Spending more money on more empty promises? You cannot learn a language without interaction with another human being. No wonder why you have tried so many so called "fail-proof" language courses and got nothing in return, just frustration and waste of time and money. Even the best program in the world will fall short if it does not provide you this key component of language acquisition: human interaction. Interaction, exposure to the language, guidance and trial and error in real situations play a vital role in the language acquisition process. You cannot learn a language without interaction with another human being. True, you can learn many phrases from any CD, DVD or language program but even with your best efforts, your results will be very limited. It is not uncommon to find learners wanting to do everything by themselves and after studying on and off for five years or more there are merely at a beginners level, which could be easily achieved in 3-6 months of guided instruction involving human interaction. You just can't disregard nature's laws regarding language acquisition. Period. Travel abroad and live there for as long as you can. Just judging by the facts from linguistic research and language acquisition studies, it is evident that traveling abroad is by far the best of all options to acquire a language effectively and in the shortest amount of time possible. Unfortunately, we cannot offer you that. But if you have the chance of doing this, do not hesitate it for a second. Just do it! For many people, traveling and living abroad is not even a remote possibility and it would actually be a huge upheaval for them to consider something like this. Does this mean they are doomed not to learn the language? Not at all. If you cannot go to the foreign culture, let the foreign culture come to you! 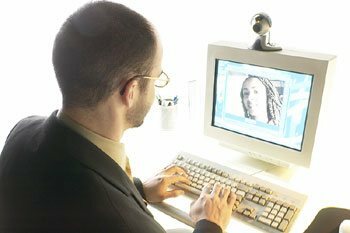 If living in a foreign country is not an option for you, the second best option to learn a language effectively is via audio and video conference with a native Spanish speaker. The results are simply amazing and you will experience it for yourself even in your free Needs Analysis and Placement Level Assessment that you can request below. FAILING IS NOT AN OPTION HERE! Why? Because everything we do is based on well-proven scientific facts, not just empty promises. Hundreds of students have already broken the language barrier thanks to our exclusive personalized total immersion program. You will learn REAL Spanish not by just listening to CDS or cassettes but by talking and interacting with native Spanish speakers. Your listening comprehension and speaking skills will improve dramatically in no time! Guaranteed! Request a FREE Placement Test now! START TO MASTER THE SPANISH LANGUAGE NOW! FEES TO SUIT EVERY BUDGET!